Does the Innovo restore the pelvic floor? 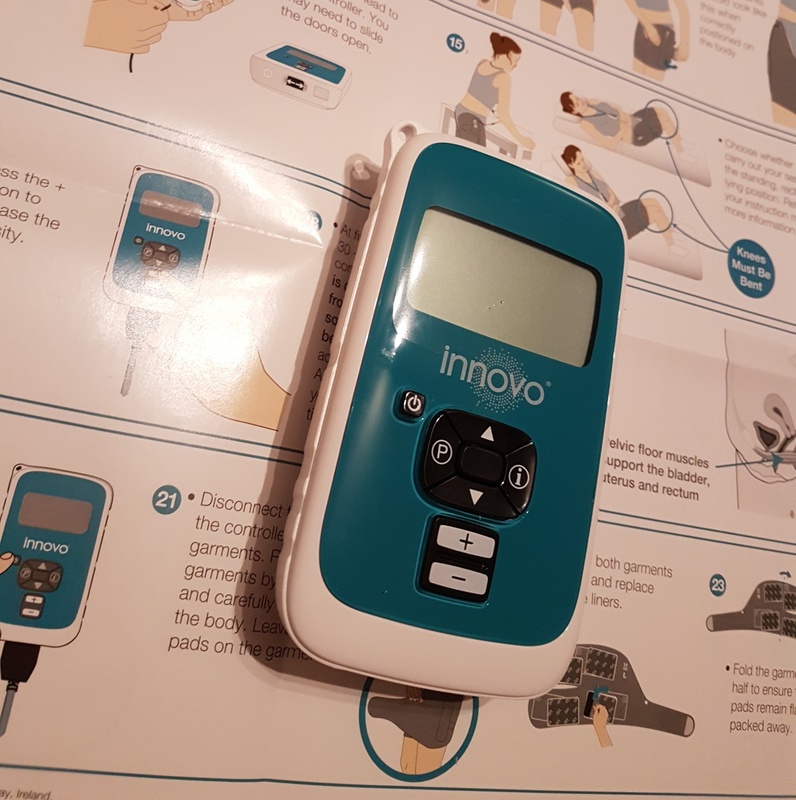 Back in May I introduced you to one of the latest products in pelvic floor health – the Innovo. Here’s a little reminder of what it was all about. I’ve written many times about the importance of looking after your pelvic floor and shared some ideas around how you can build and maintain a strong pelvic floor. Clearly it is an important issue for women in particular, and one that should be discussed more. 1 in 3 women (and 1 in 10 men) suffer from urinary incontinence in the UK, making it more common than hayfever. It can happen at any age however is most common during pregnancy, post childbirth, menopause and in active women who participate in high impact sports, such as running and gymnastics. In men, incontinence is most commonly as a result of prostatectomy surgery, and it can be one of the biggest challenges to overcome during the recovery process. One of the latest developments in improving pelvic floor function is the Innovo. INNOVO® is considered to be a revolutionary, non-invasive technology that treats the root cause of bladder weakness – a weak pelvic floor – rather than just the symptoms. This safe and convenient at-home treatment is suitable for women and men, and is clinically proven to work with 93% of users experiencing a significant reduction in leaks after just 4 weeks. You can find out what my first impressions were in my initial article. Reports of others using this device certainly say that it works. Having used this for several weeks now I would say I generally agree. The TENS-like contractions you get during the use of it make you feel like you are having a good pelvic floor work out. I do think that in itself is a plus of using the device. I think you need to be very consistent with it for it to be effective, but that is the case for any form of ‘exercise’ really, so that is to be expected. I wouldn’t personally describe it as convenient.The device is fiddly to put on and take off and not ideal to store in-between uses. I find it hard to allocate specific blocks of time to using the device, as you can’t really be doing much else. It requires you to be pretty still and that’s not something that fits very well with being a mother. However, it certainly works, so if you are looking for something non-invasive that you can use at home, Innovo can absolutely offer you that. Have you heard of the Innovo system before? Is this something you would consider trying? Did you receive much advice about your pelvic floor during your pregnancy? I had never heard of the Innovo system before but I must say it looks very interesting and you obviously love it!